Wey daniel, geta yeredah, yemewgiawen ... Betekawem leraseh yebesebehal. Pls atasadew. thier scrap still to continue because some people are enjoying thom and jerry's fight. citizen's mind need to be cleaned out not to enjoy them anymore, as the result they will be run out of script for thier divergence play. I appreciate the view. Though the "1960 th" are not listening, the youth shall discuss and learn from the failures of that generation. And we have to start thinking on the right way. Thank you Daniel!! Keep on. Dear Dn Daniel, may be they are searching for any escaped or hiding enemy!!! Thanks for speaking my mind better than I could have imagined!!! excellent critic, as usual. Semi joro yalew yisma !!!! I am poor at history and have little experience of the 1960’s but I strongly believe that a chance should be given for the generations that follow them. Otherwise we keep going in the old track always complaining and waiting the hands of our Western leaders and donors. And for that we need new directors who can write another script different from Tom & Jerry even if no one denies the experience of our old directors is important for the new. but this generation is the passive one due to many reasons specially by using CHAT.i dont know what to say..but what i know is that, eventhough the generation is passive it is better than those tom and jerries. Daniel i am proud of my brother keep going they should learn more from you instade of talking to much. Thanks Danie for sharing this: Well it made me laugh out loud. Honestly, this is the exact resemblance of what I see in my city among Ethiopian Community. With some reason, we as a people have made this opposing to everything, not coming to an agreement as part of our tradition. The “15 point agreement points” proposal example of the Netherland is the exact copy of my experience. I am glad that we found the movie title finally ...Keep the good work! What I learn from life is, be that good person who does the right things for the country and for his people, don’t expect it from others. We don’t have any control over others but we do have control on ourselves. If we are the good ones now, the next generation will become better. "...አሁንም ተቃውሞ እና ጠላትነትን አልለየንም፣ አሁንም ገና ደጋፊነትን እና ምእመንነትን አልለየንም፡፡ ተቃዋሚያችን ምንም ዓይነት በጎ ነገር ቢያስብ ከመቃወም አንመለስም፤ ጠላትነት እንጂ ተቃውሞ አናውቅማ፡፡ የምንደግፈው አካልም ምንም ዓይነት ጥፋት ቢያጠፋ ከማመስገን ወደ ኋላ አንልም፤ ምእመንነት እንጂ ድጋፍ አናውቅማ፡፡...." 10000% true. Bless you.It was nice shot Daniel. Yeah, we are really sick of all these common faces playing games on us and on our beloved country. At least, we need new Toms and new Jerry's if we can't get rid of the movie at all. We need to harbor new politicians and community organizers. Let's go people. Hi Dani, that is an intersting deeds. May God of our fore fathers blessing be with you. what you said is 100% right keep up the good work. if we work together and sit together to discuss and God helps us , it may be the end in 163 parts. we r boring to watch it. we have try to do a films like romeio and juliet. No less No more. For Ethiopia, God is the only answer. ኢትዮጵያዊውን የቶም እና ጄሪ ፊልም ከቁጥር አንድ ጀምራችሁ የምትተውኑ የፖለቲካ ቶም እና ጄሪዎች ጠቅላይ ሚኒስትራችን እንዳሉት በቃን ብትሉ ምናለ? 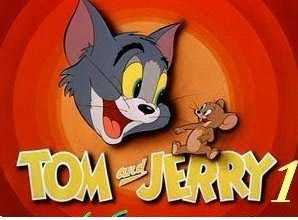 Where shall we get people who can replace our “Tom and Jerry” Dani? “Ke zinjero konjo men yemeraretu” nen eko. The thinking that kills the “Historical Ethiopia” is selfishness. Have a look at most of us/yourself and your friends/ in a simple family matter. How do we react to situations? Most of us respond poorly for such silly things. And we dare go and say vote for us we are ready to solve the “big” country wide problems. What we need is ethics. We must have thinking for all not for oneself. Its Nice. But what makes the 1960's different from the former and the later? NB: a cat is always a cat, it cant be a Lion. Erkusuna Kidusu hulem alu....I dont like to blame the olds...they did what the can, through thier eyes. I am beginning to love the author!